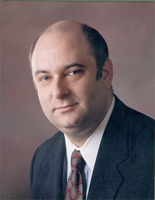 Barry N. Chester is principal of Barry Chester & Company, L.L.C., founded in 2000. He has managed projects in the financial industry, notably in the asset management area, for more than twenty years. Such projects have revolved around the application of technology to business, and have included strategic planning; developing applications that assist investment decision-making and reporting; transforming the way application development and delivery are managed in a global firm; and managing global programs to outsource investment operations and to implement applications and associated business processes. Since forming Barry Chester & Company, Barry has worked on numerous projects for major global asset management firms, as well as smaller firms such as credit unions and hedge funds. These projects have included business case development; strategic planning; organizational reviews; managing a back-office outsourcing initiative; documenting complex business processes; specifying functional requirements for portfolio management systems; and leading a global initiative to implement software and the associated business organization and processes to monitor and ensure compliance with contractual and regulatory restrictions on investment activity. In his capacity as global program manager, he has led globally-distributed teams with members and senior stakeholders located in London, Tokyo, San Francisco, Sacramento, and Sydney. An acknowledged expert on Investment Book of Record (IBOR), Barry moderated the “What’s in Your IBOR?” panel at Incisive Media’s Buy-Side Technology North America Summit in 2013, and spoke at the IBOR Breakfast Briefing in 2014. Barry has also been a guest lecturer at Cornell University’s Johnson Graduate School of Management. Before the establishment of Barry Chester & Company, Barry held positions with Kidder, Peabody & Co., and then J.P. Morgan Investment Management (JPMIM). He spent six years on assignment for JPMIM to Japan, where he was responsible for managing all aspects of the technology environment. He also headed the development of the Tokyo office’s business continuity and disaster recovery plans, and served on the New Product Committee and the Senior Management Team. On his return to the United States, he assumed leadership of JPMIM’s North American Euro implementation. He chaired the Asset Managers Forum’s Euro subcommittee, where he helped shepherd the U.S. investment management community through the euro implementation. He also served as a member of the Securities Industry Association’s (SIA) STP Buy-Side Committee, where he co-authored the SIA’s STP Buy-Side White Paper. He was on the buy-side workshop panel at the May 2003 STP conference run by the SIA in New York. Barry brings a wide array of skills to bear on his projects. To complement his thorough knowledge of the institutional asset management industry, he has the ability to maintain focus on the business objectives and drivers for an initiative, while also being able to delve into detail when needed. Combined with talents for business case development and forward planning, this makes him an effective manager of project risk and stakeholder communication. He is universally known for maintaining an independent point of view, and total honesty. Among his strongest points are the ability to manage diverse sets of stakeholders, to align and manage teams who are broadly dispersed -- both geographically and organizationally -- around common goals, and to deliver those goals. Barry operates effectively in a multicultural context, having delivered projects on three continents. He is committed to upholding the standards of the English language and produces written communications at the highest level of quality and with attention to nuance. Barry includes among his clients many of the world’s most prestigious firms, including Barclays Global Investors (acquired by BlackRock), Canada Pension Plan Investment Board, Credit Suisse Asset Management, and SSB Citi Asset Management (acquired by Legg Mason). He has also advised Kinecta Federal Credit Union, Man Investments (in collaboration with Cutter Associates), and Vyas Capital Management. Barry is President of the Kitchen Theatre Company, a professional equity company in Ithaca, New York, where he lives. He is also an amateur musician, and plays the French horn whenever he can find an orchestra. He was the first foreigner ever to play with the Takadanobaba Kangengakudan, a prestigious Japanese amateur orchestra. He has played with orchestras in New York City, and is currently a member and board member of the Ithaca Community Orchestra. Barry is a graduate of the University of Pennsylvania. Contents copyright © 2009-2015 Barry Chester & Company, L.L.C.